Skills Nunavut's 2018 AGM is October 10th! It is that time of year again! 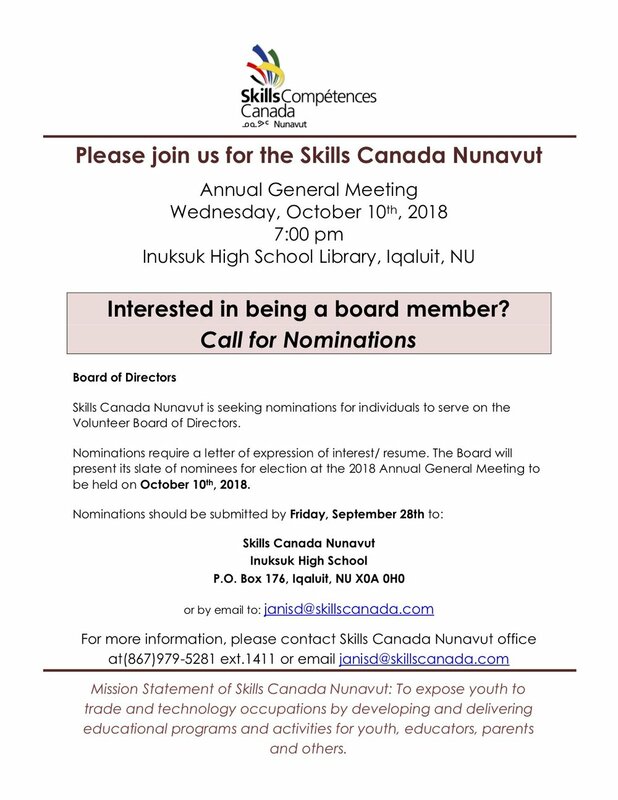 Skills Canada Nunavut is seeking board members from across the territory who have an interest in working with youth and are able to volunteer throughout the year at trades activities, competition events, and fundraising initiatives. A background in education and/or a skilled trades and technology-related field, and knowledge of Inuktut would be considered an asset. This is an innovative organization that is connected to Skills Canada, a national organization that provides trades/technology opportunities to youth across Canada, through global initiatives.